Unfortunately with today’s online hiring and recruitment practices, some of the older job search methods, like only posting your resume on a job board like Monster, do not cut it anymore. Effectively standout by creating and managing an online presence that puts your name at the top of the recruiters’ search results. How? 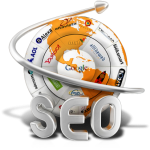 Search Engine Optimization (SEO). Large companies and organizations have used SEO techniques for years to develop their brands and reputations. By doing the same, when hiring managers search for you, they can easily find you and information that represents you as the best person to hire. 1. Perform a search on yourself and delete anything you do not want a potential employer to see. Most hiring managers search names as an online reference check for candidates in the interviewing process. Failing to delete your “digital dirt” can seriously weaken your chances for a job offer. Also, it takes a lot of time to build your online brand by maintaining a Website or blog. Do not let any dirt ruin all your time and hard work. 2. Buy your domain name. Go to a domain registrar (like GoDaddy.com) and buy a variation of your name (first and last; first, middle initial, last; first, middle, last). • Establish a website and/or blog. Design it and develop content for it. Download templates online or hire a Web designer to develop the look and feel of your site. Make sure you can easily and quickly update and add content to your site. o Home page with your contact information, mission statement, elevator speech, short bio and a professional, polished photo of you. o Current version of your resume and CV. o Portfolio with samples of your best work reflecting your unique talents and skills. o Video resume (or portfolio) that serves as a “pre-interview”. Attract hiring managers by introducing yourself with a quality, 2-3 minute presentation. o Additional content (articles, tips, video/audio clips, photographs, etc.) that demonstrate your industry knowledge and expertise. o Links page with valuable websites related to your professional and personal interests. Some of the sites may not link back to you, but having them on your site still increases your search engine ranking. 3. Research key words and phrases for your field and include them on your website. • Find the key words and phrases that employers in your field use to refer to the job you are seeking. Keywords include job titles, company names, skill sets, industry buzzwords and jargon, certification names, software titles, etc. Look for these keywords in job postings at your present and desired level. • The best places to use keywords are your elevator speech/bio, resume, online portfolio, blog entries and articles. Do not “force” or overuse keywords, but try to incorporate keywords in titles and beginning and ending paragraphs. 4. Write relevant articles for your site or other sites. Search engines love high-quality content that adds value to the Internet, especially when other sites link to it (reinforcing that value). As a job seeker, developing content that showcases your knowledge and expertise raises your value in the employment marketplace. For example, write an article for an online industry publication or blog. Or submit your article to one of many online article sites (such as EzineArticles.com, WordPress.com, PubArticles.com, EHow.com, BizSugar.com, Digg.com, ArticleDirectory.com, and GoArticles.com). 5. Maximize use of keywords in web page titles and Meta tags. Meta tags are tools are used by search engines to understand, classify, and describe each of your pages in search results. Use keywords/Meta tags in the title, site description, and body text. • Add your website/blog URL to everything! Even if your site is not perfect or complete, list it on anything that has your name: email signatures, resume, business cards, and when you post content/comments on other blogs or user forums. • Using social networking, invite your friends to visit your site and offer you constructive feedback on ways you can improve the site. • Ask other sites to link to your site, to increase your site’s visibility and ranking. List links to the personal sites of your friends, family, and colleagues and ask them to reciprocate with a link back to your site. • Submit your site to search engines, databases and directories including Google, Yahoo and Bing.